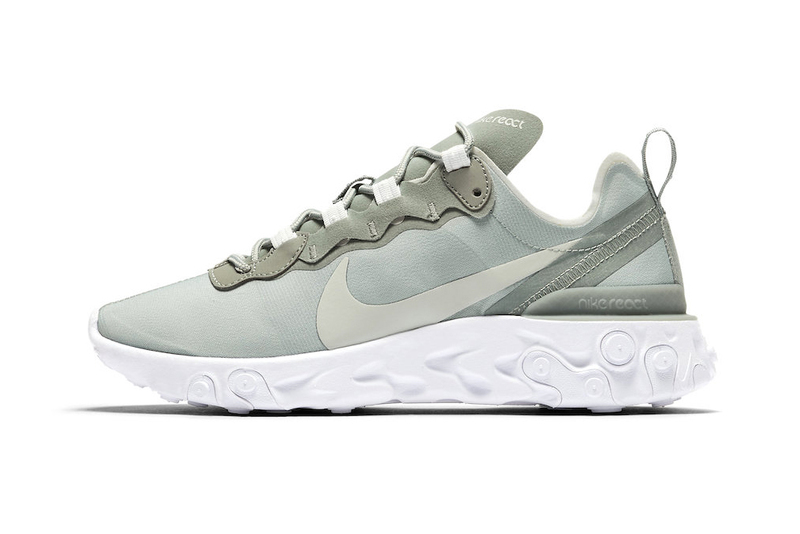 The Nike React Element 55 Is Set to Release in "Mica Green"
Straying away from the two-tone colorways that have become synonymous with the React Element series, Nike is set to release a “Mica Green” women’s exclusive for the React Element 55. The model’s woven material base is done in a washed green color, accented by grey on the tongue, eyestays and heel taping. Aside from the large midfoot Swooshes, branding on the shoe is kept minimal with monochrome Nike React tags. Finishing up the design of the colorway is a pure white take on Nike’s newly-developed, drilled React sole unit, complete with embedded rubber segments. Stay tuned for the official release of the Nike React Element 55 “Mica Green,” which will be priced at $130 USD. In case you missed it, the Nike Air Max 180 received a new “Ocean Bliss/Metallic Silver” makeover. Nike Releases the React Element 55 in "Metallic Gold" & "Metallic Silver"
Alongside an ‘Anatomy of a Suit’ short film. Crafted with old world techniques.